Written by Adam Reece - 18th May 2007. This page shows you how to find and change your Nokia N95 product code, often a requirement to update your firmware if your phone was obtained from a service provider like Orange. 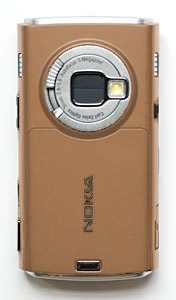 Thanks to Screenshot 2 by Antony Pranata for Symbian S60 phones. It came in very handy! The product code (located on the label under the battery) is there to identify which model of the N95 you have and what country it was bought in, or what phone operator company it was bought from. It also determines what phone interface languages are available to the user. One of it's purposes is to identify your phone and it's current firmware version against the latest version when you use the Nokia Software Updater. The problem is when operator specific product codes have not been issued the latest firmware version, even though the phone itself may have an update waiting. Because this product code can easilly be changed without damaging your phone, it's contents, or functionality, there aren't any major concerns or risks with changing it. It is important when changing it that a valid product code is written. Those are very rough images. I just took the plum one and Photoshop'd it to match the others as closely as I could. Nemesis Service Suite (abbreviated NSS) is a tool for viewing and modifying various system and security properties of a wide range of Nokia mobile devices. 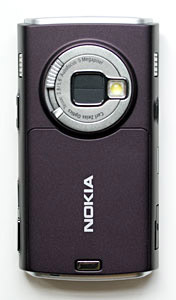 It is the most popular tool used to change a Nokia N95's product code. You can get NSS B-Phreaks Security and Protection Software page. It also shows you a list of supported phones. It is even possible to remove a SIM lock with this tool. I've not tried that yet though. These are all the product codes (thanks to this thread) of for the Nokia N95. Ensure you type them exactly as they appear when modifying your phone! To avoid mistakes, copy and paste a code. I've not seen any Grey region specific product codes. My guess (judging by mates who have all a Grey one) is they are only operator specific until modified. Please let me know if any of this information is incorrect, especially on the languages available. Singapore 0536079 0534833 English, Singaporian!? There are a few operator specific product codes that appear on all models (especially Grey). Connect your Nokia N95 to your computer via the supplied USB cable. 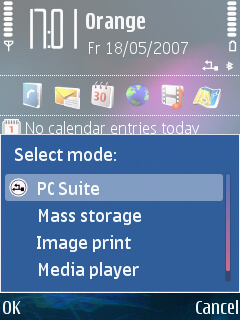 Select "PC Suite" USB mode on the phone. Bluetooth and Infrared are not an option for this type of modification. 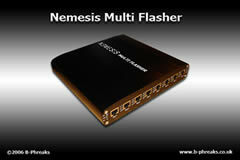 Download and install Nemesis Service Suite (NSS). Select the "Virtual USB Device" when asked during installation. Press the "Scan for new devices" button. If your NSS installation was successful and your USB cable is connected, you'll see this. Select Phone Info then press Scan in the Actions frame. Press Read in the Protection Data Edit frame. You should see the prodoct code appear, along with some other information. Perform all the instructions to read your current product code. Copy a product code from the code listing and paste it in the text box to the right. When you are absolutely sure you have pasted a valid product code, tick enable. When you are absolutely mega sure you have pasted a valid product code, click Write. Nothing else left to do. Simply exit NSS, your new product code is ready. Once you've written your product code, repeat the reading your product code steps to ensure it really has been written. After that, attempt to update your firmware if you haven't already. Page last updated Sunday, 10th January 2010 at 11:49 PM, executed in 0.015 seconds using 9 queries. It has been viewed 23,982 time(s).